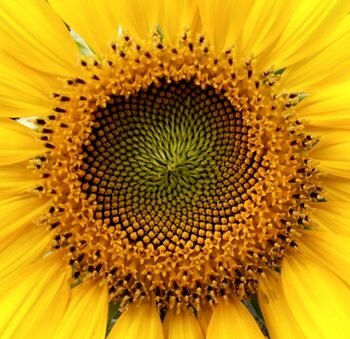 Feynman tells an anecdote about a friend who said that “a scientist takes [a flower] all apart and it becomes a dull thing.” Was Feynman right when he argued instead that science only adds to the “excitement, mystery and awe” of the beauty of a flower? “Beauty [is] a shortcut word that we all fall back on to express our response to things we find visually stimulating,” says Rob Kesseler, a visual artist and Professor of Ceramic Art & Design at the University of the Arts, London. As beauty is not a definitive term, he says this can make discussions about beauty difficult. Since Feynman was interviewed in 1981, the field of digital photomicrography has flourished. The “beauty at smaller dimensions” that Feynman spoke about has now been illuminated by high magnification images which enhance both scientific understanding and are often works of art in themselves. Such images and techniques have provided a rich source of inspiration for artists. Nowinska says she would love to have access to imaging equipment to see even more. This is something that has been recognised by scientists with whom he has collaborated. Kesseler says an artist can “engage [scientists] in discussions and cause them to reflect on their visual awareness of the material they were working with” and gain insight into “the world outside the lab”. For this reason, The Wellcome Trust has set up an art award for imaginative and experimental arts projects that explore biomedical science. “Aesthetically I am inspired and excited by the beauty and detail in a flower and want to capture that in my work,” says Nowinska, “but I have always been fascinated by science – and Biology came a close second as a passion after my art”. 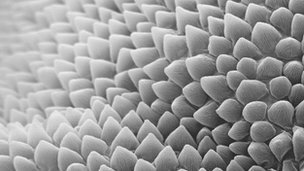 A petal at 766x magnification taken using a scanning electron microscope. 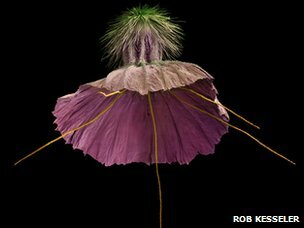 Professor Kesseler worked with Kew Royal Botanic Garden and the Millennium Seed Bank to explore pollen, seeds and other plant material using scanning electron microscopy. Scabious seed micrograph taken in black and white then hand coloured by Rob Kesseler. The end result was a series of award-winning books which combined scientific techniques with artistic enhancements, adding both visual impact and clarity to the scientific points of interest for lay viewers. For example, hand colouring the images means different functions or sections can be emphasised. Kesseler produces art from photographs taken at these dimensions. Feynman’s anecdote itself inspired artist Fraser Davison to produce an animated ode to a flower. However, Wordsworth then urges his readers to “let Nature be your teacher” and leave dry books behind. This agrees with Feynman’s idea that science fosters a greater sense of “excitement, mystery and awe” towards nature. Scientists and artists both explore new concepts, techniques and materials. What links them is their curiosity and interest in the natural world. 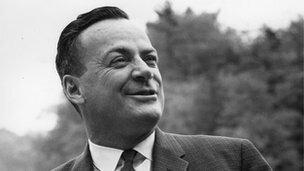 Find out more about the life and work of Richard Feynman in a one hour documentary The Fantastic Mr Feynman available on BBC iPlayer until Sunday 19th May.